Why Sarah supports Ban ObOun? It was in 2009 that Sarah met Michèle Bise, a Swiss woman based in Bangkok for over 20 years and opened a dog shelter. Few years later, Michèle asked Sarah to be the godmother of the dog shelter and it was with a great pleasure for Sarah to accept. During winter 2015-16, Sarah went in Thailand to write her book about her last expedition Dropped into the wild corner. Meanwhile, she met a so sweet dog with 7 lovely puppies. As she is the godmother of Ban ObOun in Thailand, she called them to help her to find a safe place for them all and most important, a new home! 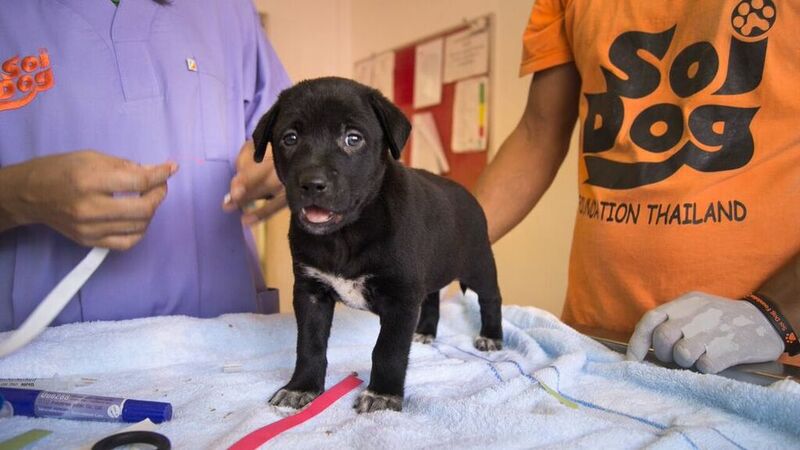 This is how the 7 puppies arrived at Soi Dog, an organization that helps anybody who wants to adopt a dog from Thailand. 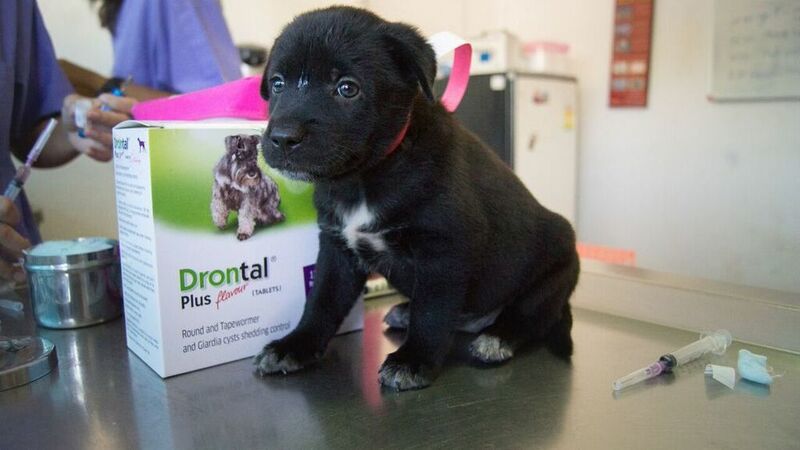 They are specialized in dogs adoptions in Thailand and manage everything for you from beginning to end for your new friend to comes directly to you (papers, flight,... ). Did you fall in love with them? 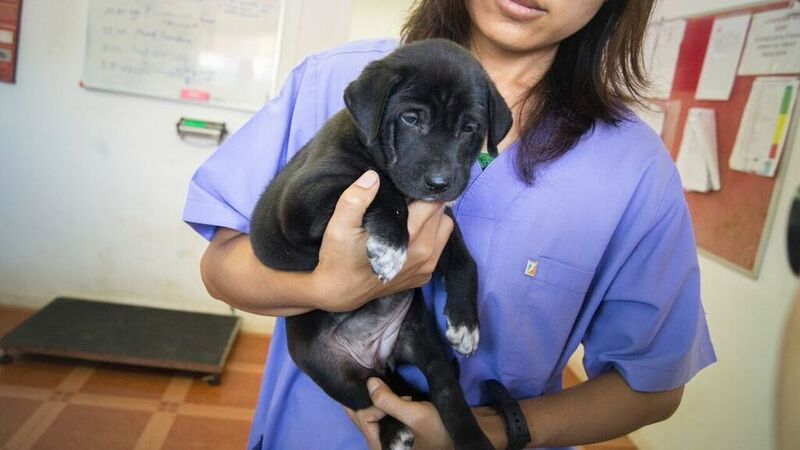 Don't wait to long.. contact Soi Dog! During Sarah's expedition in the middle of the Gobi Desert that she came across a camp of scientists who welcomed her with open arms and offered her food and shelter. The next day she went with them to install the cameras to identify and count the snow leopards and awareness the people of this legendary animal. Six months later, Sarah received a small gift... a snow leopard picture taken by one of the cameras that she helped to install. So it is logical for her to supports the Snow Leopard Trust in its work.